In November last year, we received an e-mail from GlobalGiving that they had selected XSProject’s Generate Income & Hope from Non – Recyclable Garbage project as GlobalGiving’s Project of the Month for December 2017. The news came at the right time, when we had been thinking about what can we do more for the community. Health is still the major issues for the Cirendeu community of about 100 families of trash pickers with a total of 80 children under XSProject-XSEducation Scholarship Program. We then informed the Project of the Month Club members what we imagined we could make into reality with the funds we received. The idea was a Community Home Care, a doctor and a nurse who make regular visits to the community. 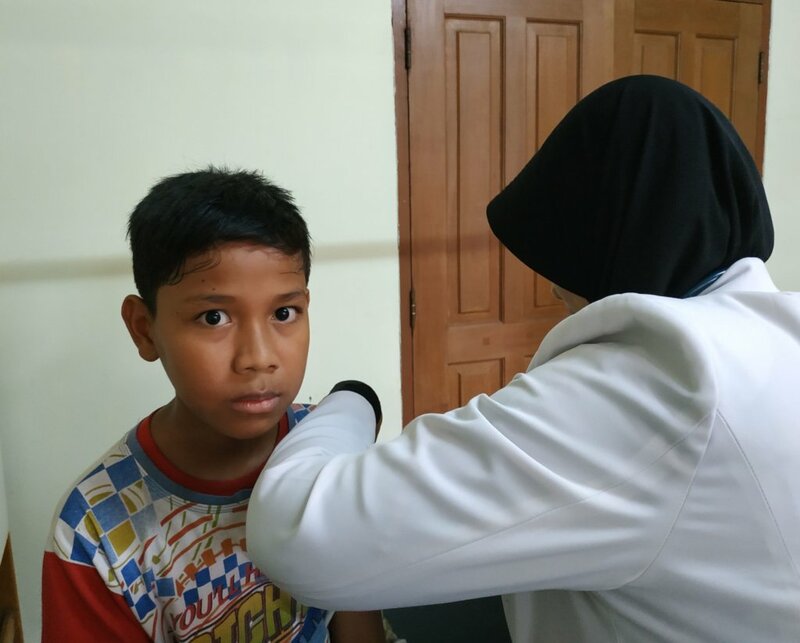 They would not only help adults and children who are sick, but also encourage and teach the community the importance of prevention and early treatment. Due to either lack of knowledge or money, too often community members wait too long to seek treatment until they are really sick. In January 2018 when we received the disbursement, we started with budget planning and the preparation for the program. But many things happened in the process that slowed the process down. But now, Cirendeu Home Care is finally open. We have a room next to the children’s reading room which we have dedicated not just for regular doctor visits once a week to start, but also for us to run an immunization program for the children and adults, family planning consultation for the moms, and other health sessions and trainings. 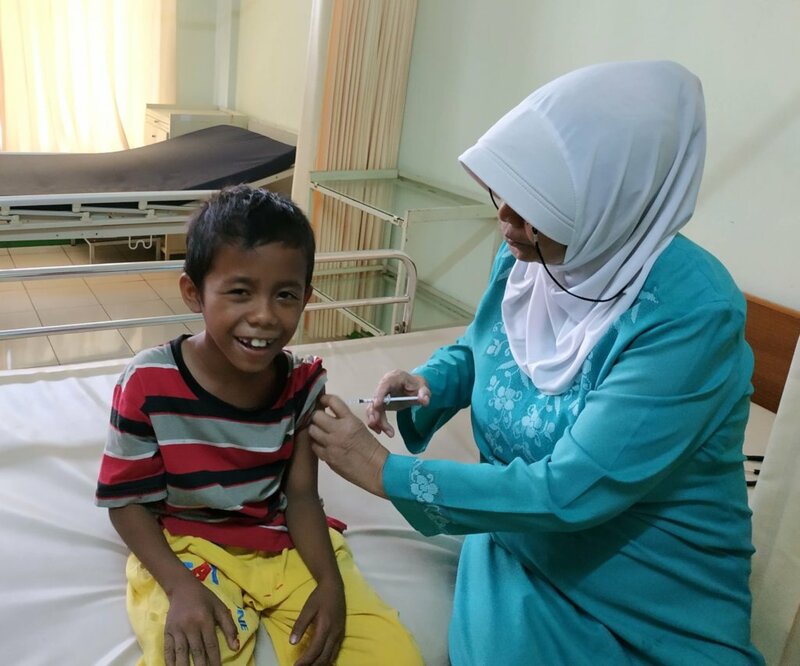 Immunization program continues to be the number one priority, especially for the younger children. Now we can conduct the program on the premises. Most of the moms are happy now that they can receive family planning consultation and health care regularly. In the past, we have witnessed moms who lost their pregnancies because they were sick and they waited too long to go to the doctor. 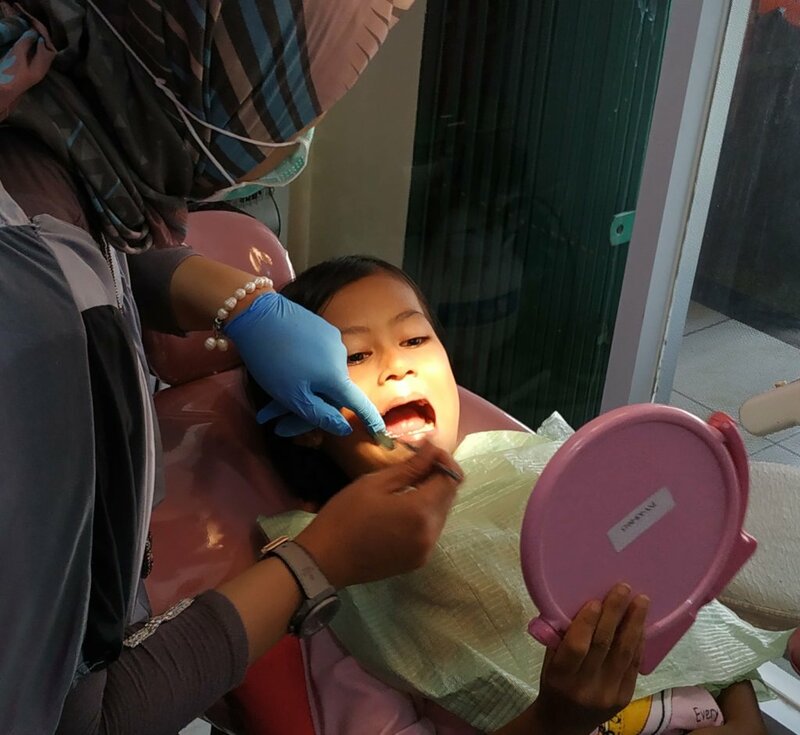 Outside the Cirendeu Home Care, we also use the funds to run a dental health program with a nearby clinic. We started with 19 children from Pre Grade 1 up to Grade 2. 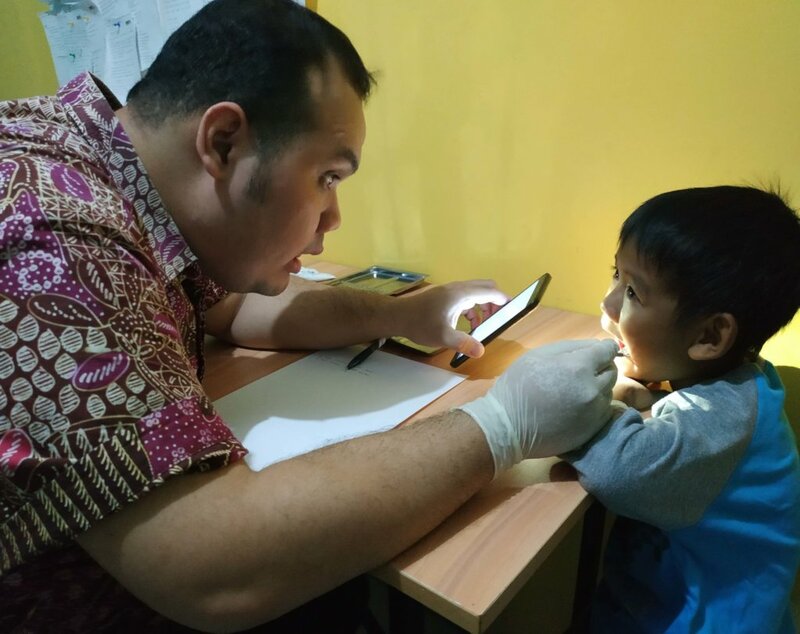 After having their first initial checkup, we received the report from the clinic, that almost all of the children have tooth decay. The children have to come back couple times to have their teeth fixed. Dental treatment is quite expensive. 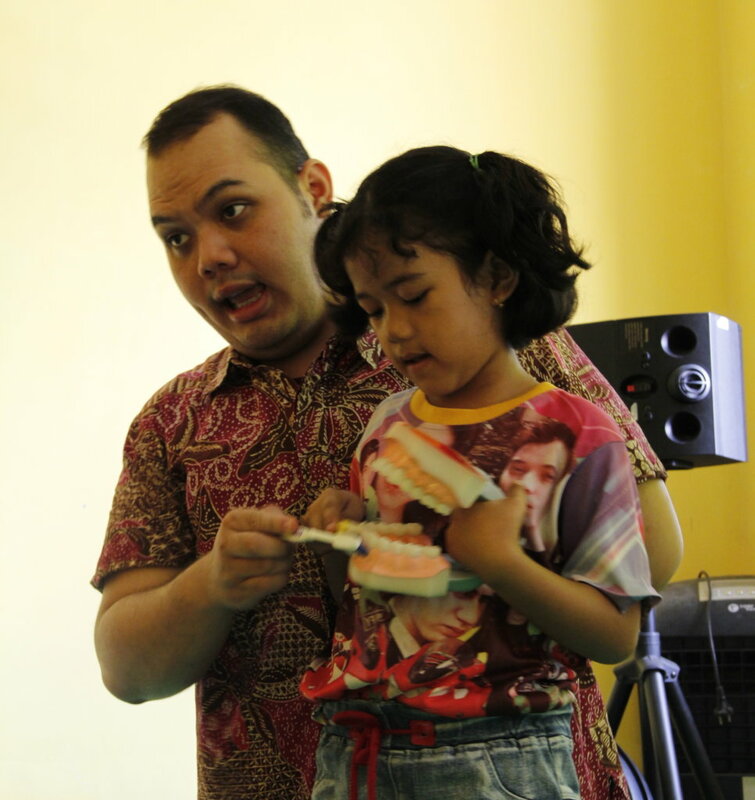 So, teaching the moms on dental health prevention is a must. We have received positive responses from the adults. The trash pickers live a very rough life, sifting through trash very often without any safety protection, so accidents like puncture wounds from nails and other sharp objects often occur. The living environment at the trash site also contributes problems such as respiratory infections, typhoid and tuberculosis. “When will the doctor come this week? Or what time will the doctor come today? We hear this request more and more as the community starts to have the benefit of having a doctor within the community. Although the per-patient cost is very low, the demand for health program has been much higher than we anticipate. However, we hope to use the funds from the donation to run the program for the next 3 years. XSProject is so honored to be selected and to receive such a generous donation from the Project of the Month Club. On behalf of the community, we thank you and want you to know that the funds we received have made it possible in trying to give better health and better life not just for the children but also for their parents. This article was originally posted on the Global Giving website. There, you can make a donation to the work of XSProject. A great event as our products are quite popular at JIS. Special thanks to the school for giving us this oppurtunity to showcase us, and we hope the students and teachers have a great year ahead! The 2018 Class Is In Session! Many thanks to Dr. Titi and RSIA Lestari Hospital for helping XSProject at the Grand Opening of the XSProject Organic Farm. Our guests enjoyed the tour of the farm, given by our 3 farmers Andre, Rudy and Armand. Guests went home with fresh organic produce and some great XSProject products!